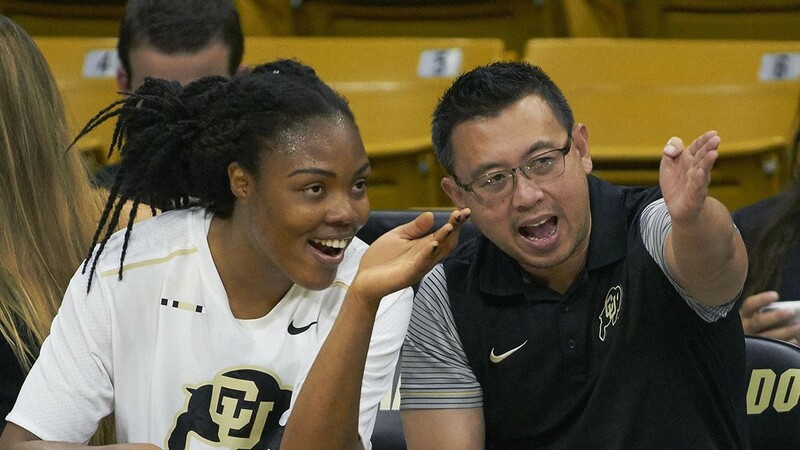 COLORADO SPRINGS, Colo. — In what has become a summer tradition, University of Colorado volleyball associate head coach Lee Maes will once again spend time coaching in the USA Volleyball ranks, this time as an assistant coach for the USAV Girls Select A1 National Team. The A1 Program is the highest level of programming available to athletes in the Select age group. Many of the athletes who compete at the Select A1 National Training Team Program ultimately go on to represent the United States on the U.S. Youth National Team. Participating athletes train as a group for five days before splitting into ability-tiered teams of 12 to compete at USA High Performance Championships immediately following training. Training is conducted by some of the top High Performance Pipeline Coaches in the country and features an intense international skill and system focus, including hands-on opponent scouting training. Teams are selected based on athlete performance during training. The team will compete at the USA High Performance Championships, one of USA Volleyball’s flagship events, July 19-29, at Cox Business Center in Tulsa, Okla. The annual championship features international teams from a myriad of countries plus Region High Performance teams from all over the United States. In the last two years, teams have come from Canada, Chile, China, Dominican Republic, Mexico, New Zealand, Peru, and Puerto Rico.